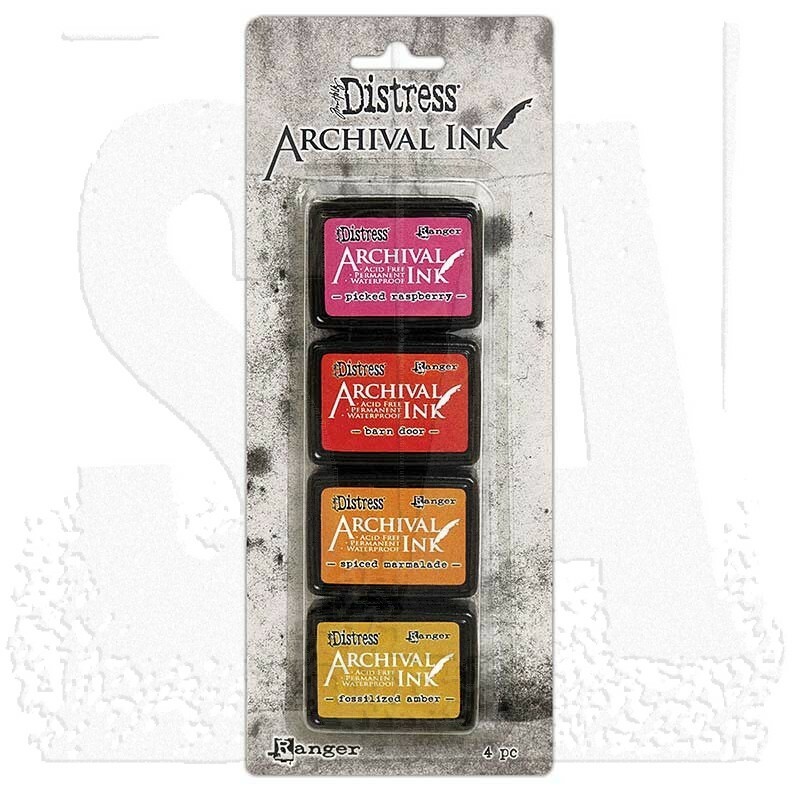 Mini Archival Ink pads are waterproof, acid-free dye inks featuring the classic Distress color palette. Archival Inks are permanent on many surfaces, providing long lasting detailed stamping results that won't bleed when used with water based inks, markers, acrylic paint, and watercolors. The convenient 1 1/4" x 1 3/4" pad size makes these inks ideal for various craft and mixed-media projects. 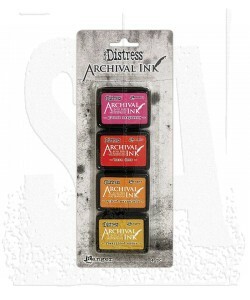 Ink pads can be easily re-inked with the coordinating Distress Archival Ink Reinker (available and sold separately). This set of mini ink pads includes: Picked Raspberry, Barn Door, Spiced Marmalade, and Fossilized Amber.